Callwork: Goodbye 2010, Hello 2011! Dear readers, this will be one of the most important blog entry that I am about to make. You see, I am jobless for the whole year of 2010. When I resigned with Genpact, I gave my last full months' salary away to the church. No, I am not the religious type. I just wanted to tell God that He is the one who is in control of my life. I am Chinese... and in the Chinese tradition, 2010 is the most awful year for a monkey like me. I guess the stars and the planetary alignments don't affect me anymore since I am also a Christian. To my amazement, 2010 has still been an abundant year. I am still able to buy what I want, I am able to give everything to Tara, there was no lack in our house, it was like I'm still working in a call center but in this case I was enjoying time with my daughter, family, friends and my comics FULL TIME. And yes, I was able to get the good night sleep I was asking like a year ago. I think what's more important in this year was the release of Proud Callboy which became an instant best seller in National Bookstore. God knows I was really looking forward to that income. hehe. But what really fulfilled me was Dra. Yap comics. For many years, I had kept Dra. Yap's story and there was this little voice or 'feeling' that told me to, you know, just get it out there. It was good enough for me. I am happy the way it turned out. 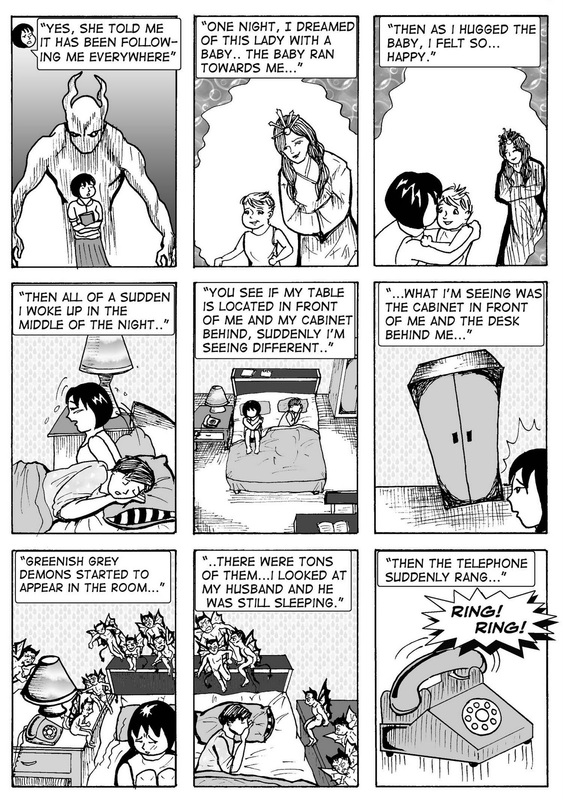 Call Center Confessions or Callwork 3 is supposed to be released this 2011 summer Komikon. Now I am not really sure about that. I will part of a new Indian BPO to set up a call center here in the Philippines come January 2011. It is, finally, a day shift job. Philippine time alas! I will be managing the MIS and WFM for the Philippine site and I already anticipated how hectic my schedule will be for the 2011. Still, I will try to release Callwork 3 sometime next year. Advance apologies if I will not make it to Komikstrip 2011 in UP LosBanos this February. I realized what is more important than making comics is giving jobs to thousands of Filipinos out there. 2010 has been the happiest, most memorable year so far, for me. I met good friends in the comics world that you will not find in a corporate set up, I was able to spend quality time with Tara and her schooling and I enjoyed my health. God has been an awsome God even if there were times I feel like I have been bad. LOL. Thank you to all people I met this year, to all the call center agents who continuously support my works, and to the Komikero peeps who became my support group. I love you all guys! To those who are wondering what Dra. Yap is all about, you may buy it in Sputnik Cubao X or in Comic Odyssey Robinsons Galleria for a very cheap price. Congrats Hazel! Hope this is the year you can turn komiks making into a career for realz! Merry Christmas! Looking forward to more of your material. Raipo - Uu naman, ako pa, never nawawalan ng material hahaha. Happy nwe year! Kc- Merry Christmas also! See you soon!!! as a christian myself, i admire what you did with your last paycheck. truly, a sign of faith! i totally subscribe to this idea: GOD is in total control of our lives! i know he'll always take good care of you and tara. more comics for us in 2011! as i've also said before, Dra.Yap was one of my best reads for 2010! the book gave me the shivers. it's like a very good horror movie, except in comic book form.